Hypermill 2019.1 by Open Mind Technologies will be showcased at Solidworks in February. The new software promises more efficiency and an easy to use interface. 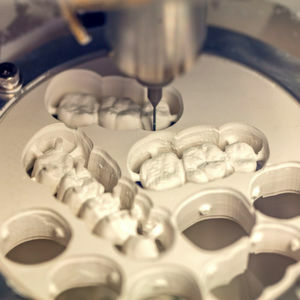 Open Mind Technologies AG, a developer of CAD/CAM software solutions worldwide, will demonstrate its latest CAM innovations including the newly released hypermill 2019.1 at Solidworks World from February 10 - 13, 2019. Solidworks World is the annual gathering of the Solidworks community to learn and share experiences. Open Mind is a Solidworks Gold Certified Partner, offering high-performance hypermill CAM software that is directly integrated in Solidworks 3D CAD software, for highly efficient design and manufacturing in a wide range of applications and industries. The Solidworks solution from Dassault Systèmes allows manufacturers to speed up their product development, reduce production costs and improve product quality. The integration with hypermill enables Solidworks users to also use one of the most powerful CAM systems for machine-and controller-independent programming during manufacturing. hypermill for Solidworks offers many benefits including access to the easy-to-use hypermill user interface, enabling switching between the CAD and CAM tabs at any stage. CAM data is associatively linked with the geometric data of Solidworks. Also, users can work in both single part and assembly mode. Clamps and holders are taken into account during collision checking. 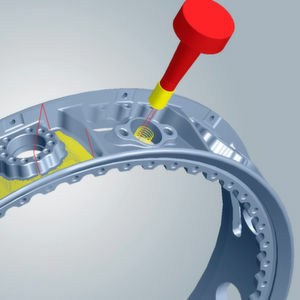 For increased productivity, there is a single file for CAD and CAM data. During Solidworks World, Open Mind will highlight its recently released hypermill 2019.1 CAM software for increased productivity and milling results. Key new features in 2019.1 include 5-axis Prismatic Fillet Finishing, an innovative method for efficient finishing with barrel cutters. New high performance turning capabilities ensure significant time savings and tool- and machine-friendly roughing operations, all complementing the hypermill Maxx Machining performance package. A new surface precision mode enables superb surfaces when 3D profile finishing. Attendees are invited to learn about all these features and more in hypermill 2019.1 CAM software. Open Mind's strong focus on CAM and its continued commitment to the latest technologies produces trend-setting innovations that make it significantly easier for customers to achieve substantial quality, time and cost improvements. Open Mind's hypermill software is a state-of-the-art CAM solution with 2.5D, 3D, 5-axis milling and turning strategies, as well as speciality applications, that are all available in one interface.